Valentine’s Day is just around the corner, and if you haven’t prepared a gift for your loved one, you may want to right now with Eddie Bauer Canada. 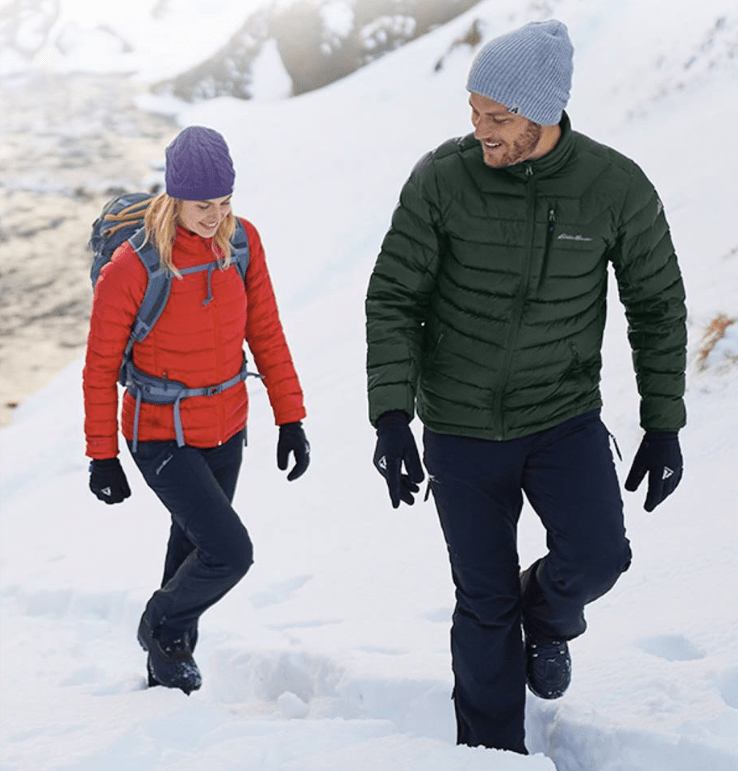 This weekend, Eddie Bauer Canada is offering you up to 60% off on everything, including women’s & men’s new arrivals and sale items, and clearance. Some exclusions apply. You can also save up to 60% off on women’s and men’s outerwear. When you shop the clearance section, you can save an extra 60% off by entering the promo code FEB60 at checkout. Some exclusions apply. All offers are valid for a limited time only, while quantities last. 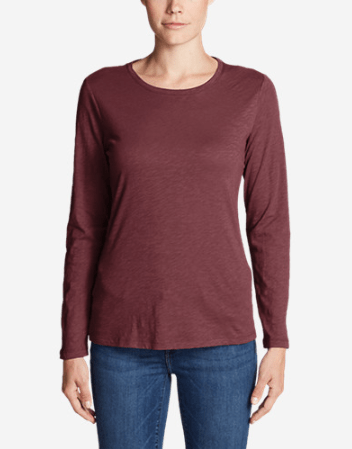 This Women’s Legend Wash Slub Long-Sleeve Crew is on sale for $29.99. When you enter the promo code at checkout, you can pay only $11.99. That’s a total savings of $33.01 from the original price of $45.00! Also available in purple, blue, pink & red.